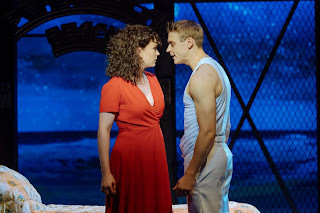 Leading the story are two romantic couples, Paula (Emma Williams) and Zack (Jonny Fines), and Sid (Ian McIntosh) and Lynette (Jessica Daley). The former are the characters portrayed by Gere and Winger in the film, but it has to be said that often the relationship, more broken, between Sid and Lynette often forms the most interesting aspect, and certainly has the more compelling story arc. 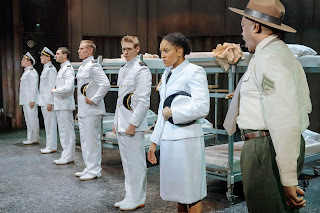 All performers are great in the leads, with Williams, in particular, bringing an extremely strong and tough creation to the stage, against Fines often slightly one-dimensional character. Both McIntosh and Daley spark off one another in their intense relationship. Elsewhere there is very strong support from Rachel Stanley as Paula's mother Esther, and they have a brilliantly funny scene in the Pokrifki household, offering one of the few truly comic moments of the show. 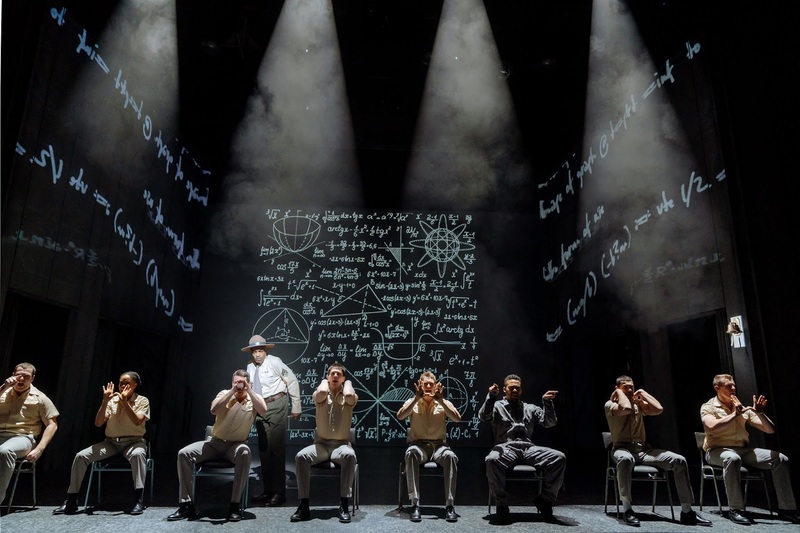 The musical numbers are a mixed collection of those that work, and those that simply don't (Material Girl for one), when it does work though, it forms some tremendous moments. 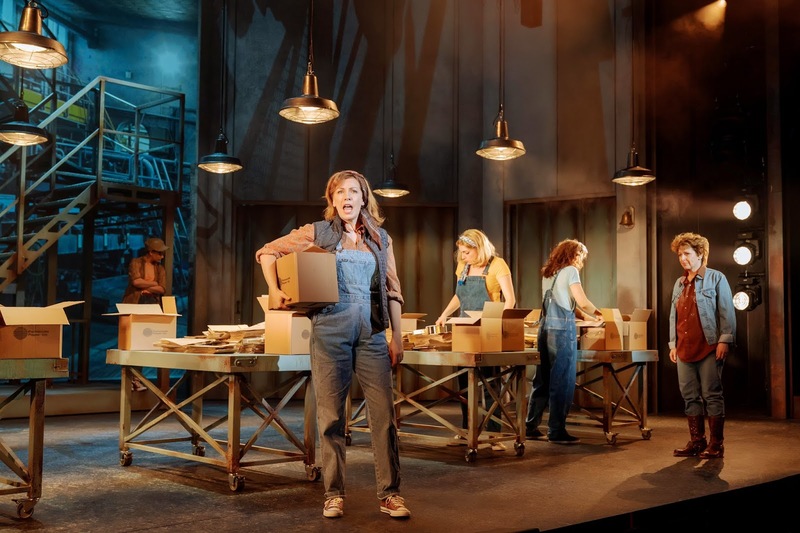 The showstopper without any doubt is Emma Williams skin-tingling solo performance of Heart's Alone, when she very finally, in the second half, gets to show truly why she is a multi-Olivier nominee. Elsewhere in the musical moments, there is a brilliant reworking of Kim Wilde's Kids In America, given a brilliantly intense and sweaty performance by Darren Bennett, as Zach's father Byron. They get the openings and closing rights, opening with a very slight reworking of Status Quo's In The Army Now becoming the Navy and creating an effective opening alongside Kate Prince's lively, and suitably regimented choreography. There is also nothing wrong with closing one act with John Parr's classic St Elmo's Fire, and going all karaoke in the bar with a meaty version of Jon Bon Jovi's Livin' On A Prayer. Added to this, a stirring version of Martika's Toy Soldiers, and it all finally ends, as expected with both the iconic moment and song Up Where We Belong, making it as much an eighties feast of musical, as much a musical. There is a tough ruggedness to Michael Taylor's set which sits very well within the story, and there is some challenging lighting from Ben Cracknell, which mostly works extremely well, despite a couple of moments missed, and an occasionally wayward spotlight. The use of video from Douglas O'Connell, doesn't always please, as it can be a lazy staging option, however, for the best part, in this, it works. 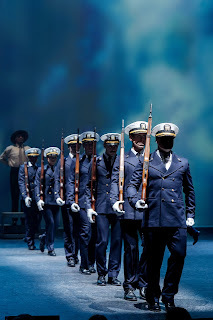 An Officer And A Gentleman - The Musical is a tremendous distance from being the best that jukebox musicals have to offer, but despite only three rounds of applause between songs during the entire show, including one very much deserved for Alone, the audience suddenly comes alive at that final moment and it becomes clear they were almost there for just that one moment. 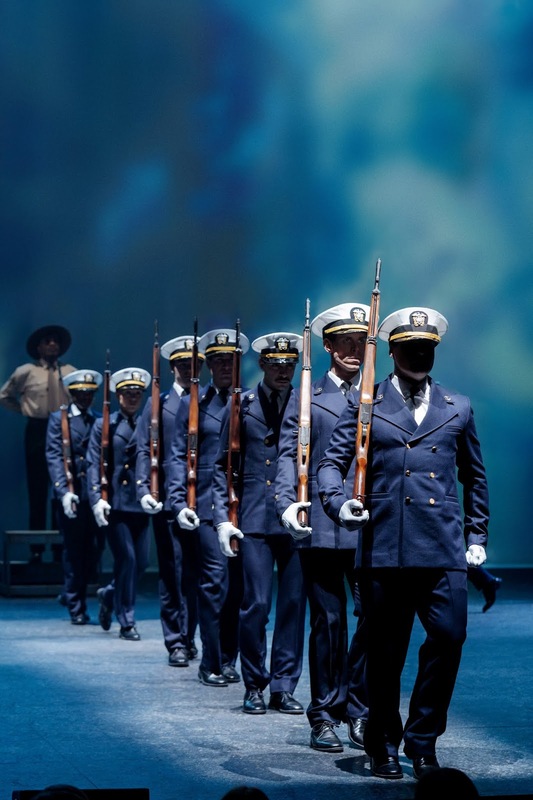 An Officer and a Gentleman is a by the numbers show, nothing special, but always entertaining and well performed. Feelgood entertainment at it's most simplistic, and at the end of the day, there is nothing at all wrong with that. Just about gets off the runway. Performance reviewed: Monday 9th July 2018 at Milton Keynes Theatre, Milton Keynes.